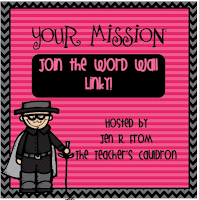 are having Word Wall linky parties! 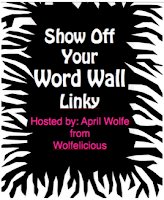 I love my Word Wall and I love a good linky party! 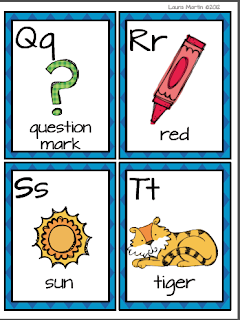 I have always used the magnetic board for my Word Wall. That is until last year. That's when my Smartboard was put on top of one of my magnetic boards. Hmmm...that leaves a girl with a problem. I need a board, so...Where do you put the Word Wall?? I made use of the door to my closet/cubby room. It's not nearly as big as my board, but it works for now. This is terrible picture cropping, but it's the best one I could find. I'll take one Monday and post an update. 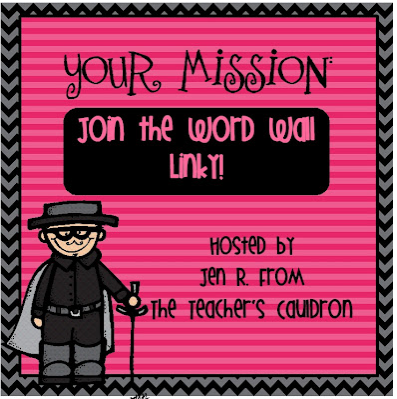 Next year, I really want to update my Word Wall. I love my words. They're bordered with the shape configuration. 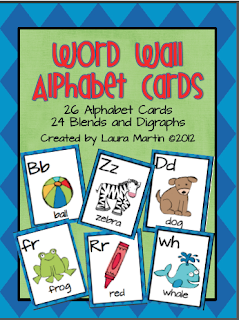 just finished making new Letters and Pics for the Word Wall. They were just uploaded to TpT. I'm finally happy with the pictures!Who knew how long it would take to find the right pics, either...Whew! Click on the top pic to see them on TpT!